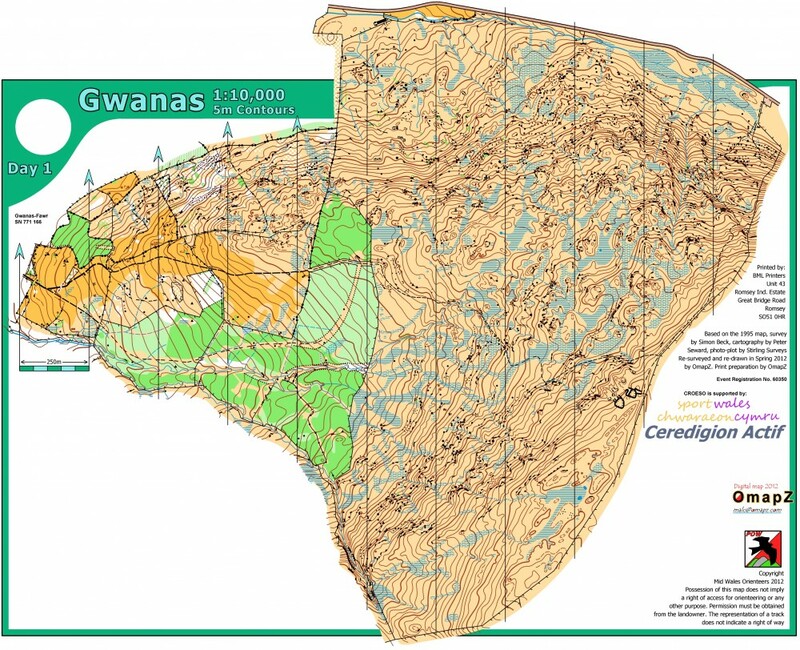 Gwanas is mainly rough open grass slopes with many technical rock features, with some streams and marshes. The area slopes steeply to the east. All courses will visit pasture fields, which are steep and rough in places and with patches of scattered trees and bracken.